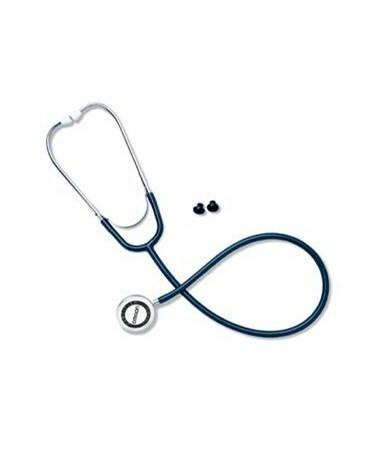 Lightweight and durable, the Omron Dual-Head Stethoscope is manufactured with one-piece molded tubing for better sound transmission. It comes complete with an extra pair of eartips and one extra diaphragm to keep the scope in reliable, working order at all times. 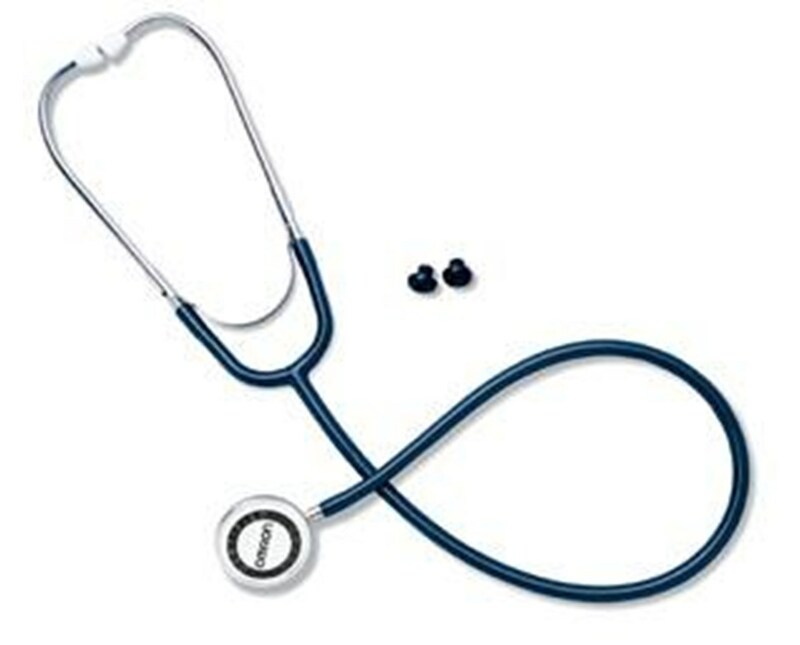 The scope features latex-free tubing in a choice of three colors - black (not shown), blue, and red (not shown) - and adjustable binaurals. The chestpiece is color-coordinated to match the tubing: black tubing with silver chestpiece, blue tubing with blue chestpiece, and red tubing with red chestpiece. Select a color from the drop-down menu in the upper right corner of this page, then click "add to cart" for hassle-free ordering at the lowest price!